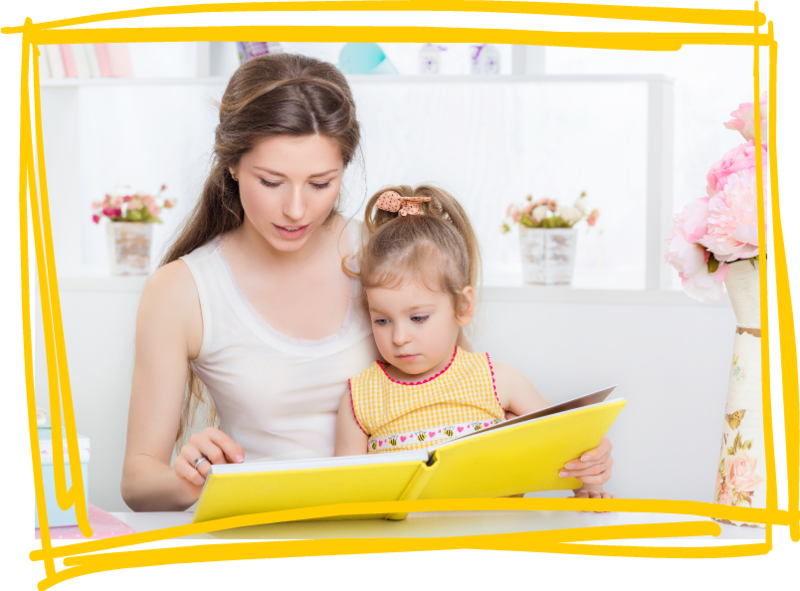 Kidstogether™ believe Reading with your child is one of the most effective things you can do to support the growth of language and literacy in the early years. At Kidstogether, Storytogether™ takes young children on a colorful journey through a forest filled with language and fun. Provided to families with young children at Kidstogether across every city, Storytogether™ also includes a practical guide to incorporating talking, singing, playing, writing and reading into your family’s daily routines in fun, simple ways. Storytogether™is one of the many literacy-building resources available at the Kidstogether Library. Every year, Kidstogether children’s librarians help thousands of families and children build a strong foundation for early literacy. Early literacy includes all that children know and learn about reading and writing before they can actually read and write. This guide offers information and activities for you and your child to enjoy and develop early literacy skills together. Research shows that children start to become literate long before they learn to read. Kidstogether™ will include many early literacy activities in your child's daily life. Kidstogether™ can support the young child's early literacy growth now by talking, singing, playing, writing, and reading together.